Your wedding day is one of the most important days of your life. Even if you have only just got engaged and are starting to plan the big day, you will already be aware that the most popular venues are booked up months, if not years, in advance. Therefore, it is important to decide on a date for your wedding as soon as possible. Want to make your wedding unique right from the very start? ”˜Save the Date”™ with etched steel for a truly memorable keepsake. If the wedding planning process has got you caught up in a spin, don’t despair. We have put together a few tips to help you plan ahead for your big day. This has to be a priority, especially if you have a particular place in mind, as you can”™t make the day official until this is booked in the diary. If your preferred venue is already booked up on the day you wanted, why not go for a weekday or off-peak time instead? ”˜The”™ dress can take a while to find so the dress hunt should be the next thing on your list after the venue is booked. Once you have found ”˜the one”™ it may need altering a few times to make sure it is perfect, so be sure to allow plenty of time for that. Don”™t forget the all-important accessories ”“ tiara or headdress, shoes, jewellery and the ”˜something blue”™. You and your photographer need to agree on your setting and which parts of the day you would like them to cover. What you need to remember is that there will be so much of the day that you won’t see due to being busy elsewhere, so it will be a lovely surprise for you to see the beautiful photos afterwards. Wedding Day transport can be anything you choose, so get creative and choose the ideal transport for you. From a vintage classic car to a double decker bus, it is purely up to you and the theme you have decided upon for your big day. 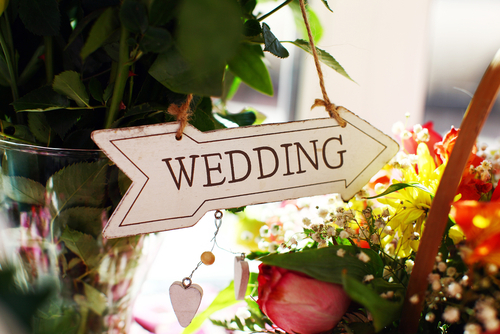 Whether you plan to get married in the UK or abroad, it is best to be mindful of your guests. The people you invite should have enough time to get ready too – they may have to make travel arrangements, book hotels or even find babysitters if they fancy a day on their own. The best way to do this is to send out ”˜Save the Date”™ cards in advance of the formal invitation. These can be sent out as soon as you know the date to ensure that everyone has the date on their calendar. If you want to make a real impact, why not send out a ”˜Save the Date”™ card etched in steel. These make lovely, unforgettable additions to your big day, acting as the perfect keepsake for your wedding. The etched steel process is only one of many processes and services offered by Qualitetch, meaning that the preparations for your big day are in the best possible hands. For more information on the process behind producing your cards, give the Qualitetch team a call today. We can discuss your requirements and show you how your ‘Save the Date’ cards can be a keepsake for your guests to save for a lifetime.